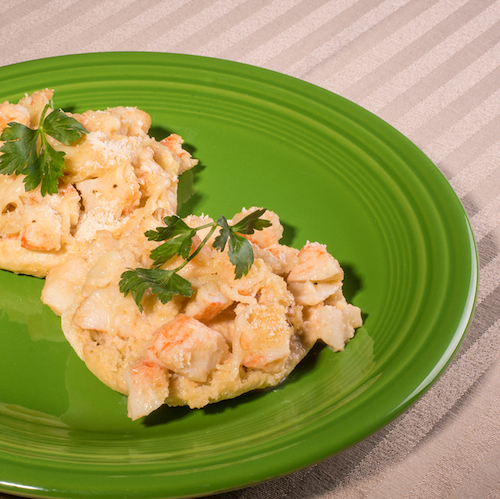 The delicious combination of cheese, lobster and English muffins is sure to become a family favorite! Sprinkle each with a little shredded Swiss cheese and buttered bread crumbs. Bake at 400° for 10 to 15 minutes, or until bread crumbs are lightly browned and cheese is melted. Melt butter in a small saucepan; stir in flour until well blended and smooth. Gradually add milk and stir until thick and bubbling. Season with the salt and pepper. Use in creamed lobster (above).